The climate that Earth experienced millions of years ago could reveal more about the health of soils and their capacity to store carbon dioxide than current climates, a new study has shown. Carbon cycling is fundamental to all life on Earth, with storage of carbon in the soil important for regulating climate, enhancing soil fertility to sustain crops, and capturing and retaining water. But scientific capability to predict soil carbon stocks in terrestrial ecosystems is limited. To help overcome this challenge, an international team of dryland scientists from Australia, Spain and the US, including UNSW Professor David Eldridge, analysed soil carbon from more than 5000 sites worldwide. 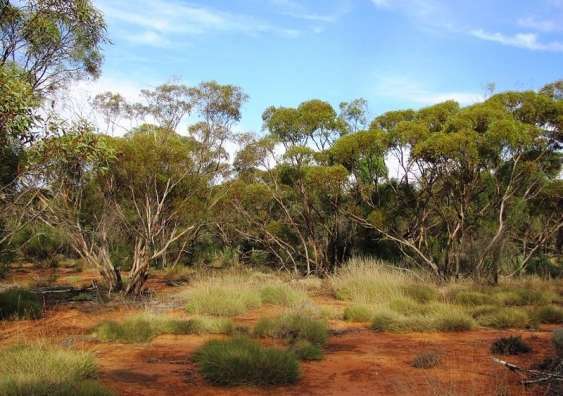 The sites ranged from deserts to tropical forests and polar and temperate woodlands, and more than 600 of them were from Australia's arid and semi-arid woodlands. The results of the study are published today in the journal Science Advances. "Imagine that we have two arid ecosystems that are both grasslands. They both look similar, but one has three-times more carbon stored in the soil than the other," says Professor Eldridge, of the UNSW School of Biological, Earth and Environmental Sciences. "The current climate and vegetation from these two grasslands fails to explain the differences in their amount of stored carbon. But if one of them was previously a forest under a wetter paleoclimate, it would have more soil carbon than expected, based on its current climate." The researchers say the inclusion of paleoclimatic information in Earth ecosystem models could help scientists to better predict climatic impacts on soil carbon stocks. The team also evaluated how paleoclimate could predict soil carbon stocks in areas that have been cultivated. "Soil erosion linked to intensive agricultural practices erases the climatic legacies on soils, effectively resetting the system," says Professor Eldridge. "This means that under intensive farming, current climatic conditions become more important than past climates, with temperature more important than rainfall." The results of the study have important implications for our understanding of the process of carbon storage in the soil over millennia. "As the area of croplands increases to feed a growing human population, our capacity to predict soil carbon stocks using paleoclimatic information will be more and more limited," says Professor Eldridge. The research results also protect against unreasonable expectations about the likely magnitudes of increases in carbon stocks with short-term management practices, such as minimum cultivation or low-intensity grazing, he says: "The ceiling on carbon storage in soils could have been set by what happened millions of years ago."